FMC Homeguard is an effective and enduring termite management system that not only physically stops termites but also kills and repels them. Homeguard does this with high quality polymer products impregnated with a proven chemical. Homeguard can be used in pre-construction and renovation applications. Termidor Barrier System is a chemical barrier that binds with the soil to give long lasting protection. This can be achieved by trenching, drilling and injecting under slabs or used in replenishment systems (Termx Replenishment System). 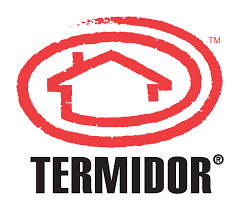 Termidor has been used for more than ten years and is consider the best in-ground chemical termite control. Termidor is far superior to generic brands that have flooded the market in recent years. Termx Replenishment System is a flexible, weeping P.V.C chemical hose for medium to high pressure application. This is used injunction with a termiticide. We only use Termidor in our replenishment systems. Termx can be installed under slabs and around pipe penetrations or as a perimeter barrier. Once installed, replenishment is required every five to eight years with no further disturbance to the property and peace of mind to you. Barriers are a smart way of protecting your assets!